An important day today, for several reasons. It had a early, solemn start at Pukeahu National War Memorial Park where L and I attended the Dawn Service to mark the 100th anniversary of the Anzac invasion at Gallipoli in 1915, along with 20,000 other Wellingtonians and visitors. 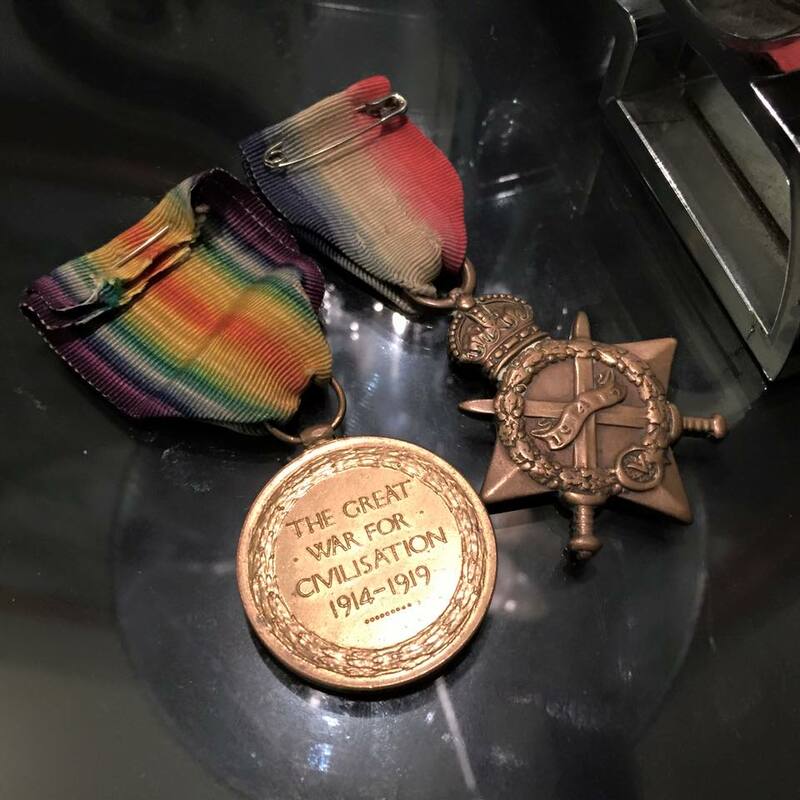 I wore my Grandfather’s WW1 medals. Lest we forget. Then, later that day, after a bike ride with the Chosens and a nana-nap, L and I made some important plans, and then went off to the Museum Hotel for a nice glass of wine, before getting ready to head for D’s place for dinner with him and his partner D, and guests J and R.
What a great wine this is. A complex and distinctive fresh bouquet. Delicious to drink. Great oak handling. A treat. 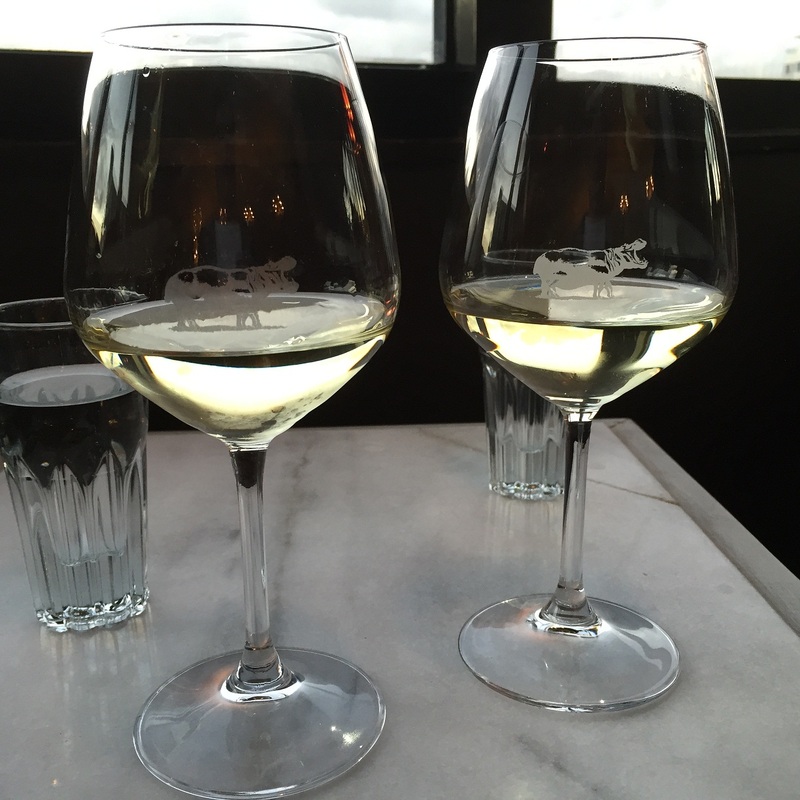 Perfect choice for the day after International Sauvignon Blanc Day! then off to D’s for Roast Duck. Yum! We brought a bottle of this to share first up with the other guests. Funky aromas. Fine fresh fruity bubbles. Classic brioche flavours. Dry finish. 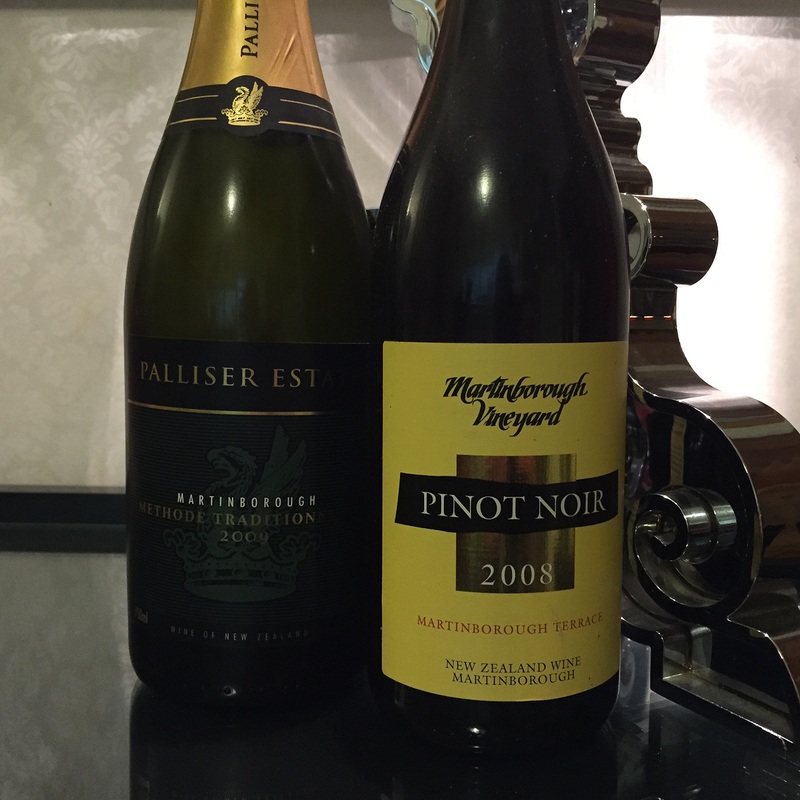 This entry was tagged $$$, Cape Crest, From the Cellar, Martinborough, Martinborough Vineyard, methode traditionelle, Palliser Estate, Pinot Noir, Sauvignon Blanc, Te Mata Estate. Bookmark the permalink.